Combat of Giants Dragons is a really interesting game when looked at from the front cover but after playing this title for a couple of hours I found myself virtually falling asleep due to its lack of imagination. The game has ok graphics which are nothing special and an ok story line but it is very disappointing in reality. 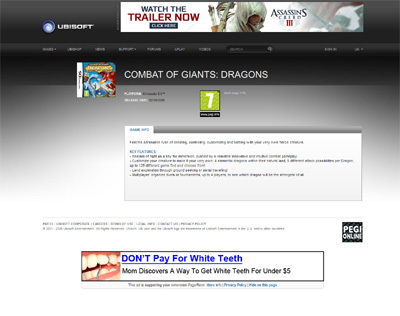 We have also compiled a Review System for this, of which Combat of Giants Dragons is Rated as Two Stars, the second lowest possible score available from the Game Review Team.